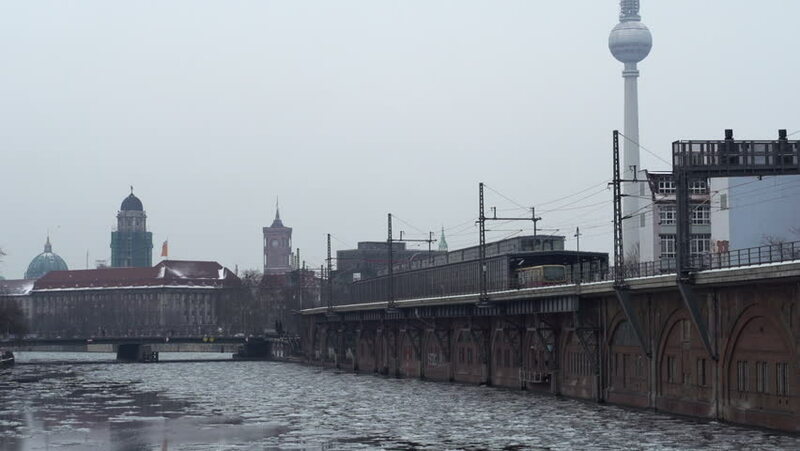 BERLIN, GERMANY - CIRCA 2014: Fernsehturm in Berlin, Germany in background of water flowing through city. 4k00:26View to the City of London and Tower Bridge. hd00:26MOSCOW, RUSSIA, JUNE 23, 2016: View of the Kremlin from the Great Moscow River bridge, on the Kremlin embankment. 4k00:15Moving along the Thames riverside during sunrise with a distant London Tower Bridge in silhouette.